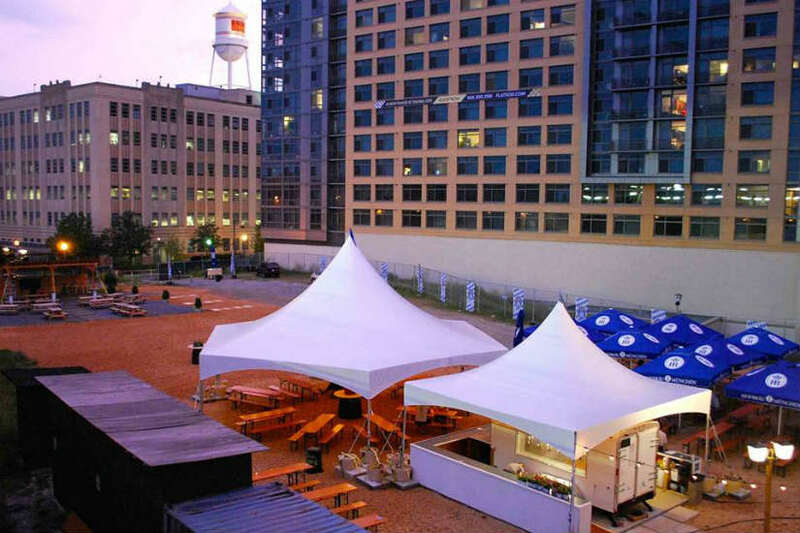 An outdoor beer garden in NoMa is set to dust of its benches for a short amount of time this weekend, according to a newsletter from NoMa BID. 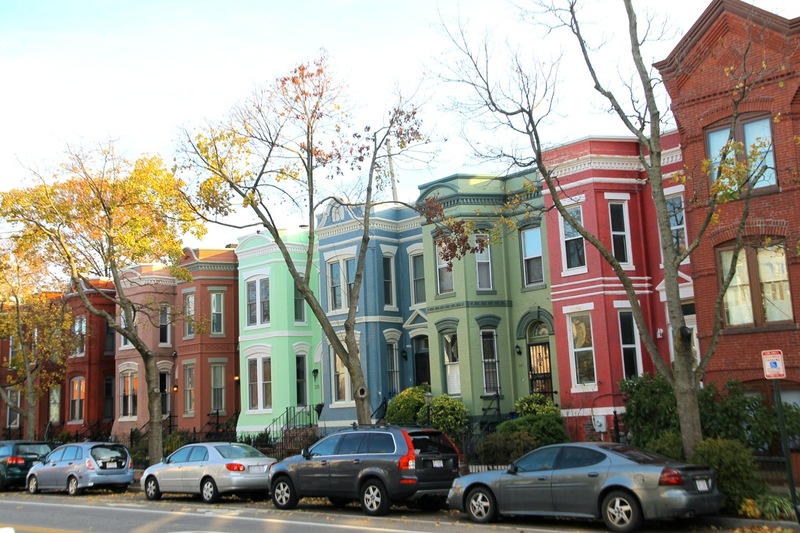 Wunder Garten announced it will host a “neighborhood sneak preview” at its new location at 1st and L streets NE this weekend from 4-10 p.m., the BID said. NoMa beer garden Wunder Garten will end their first season this weekend with a final party on Friday. 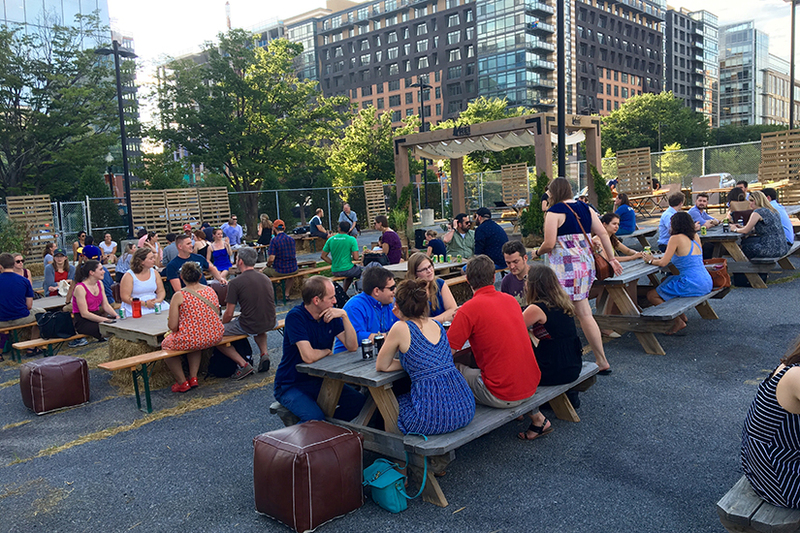 According to the garden’s website, the outdoor space at 150 M St. NE will host a going-away party this Friday 3 p.m. to close. The garden will be open on its regular schedule every day this week and on Saturday, it’s final day open for the season. The party will include music, drink specials and giveaways according to Wunder Garten’s website, though representatives from the restaurant could not be reached immediately for more details on the party. Back on October 16, I said that the weekend forecast might have meant that cold weather was here to stay. But with today being the hottest Nov. 6 ever recorded in the District, I think it’s time to abandon any long-term weather predictions and leave it up to the professionals. The Washington Post’s Capital Weather Gang predict that a cold front tonight will bring more normal temperatures in the 50s and 60s on Saturday and Sunday, with showers possible on Saturday. 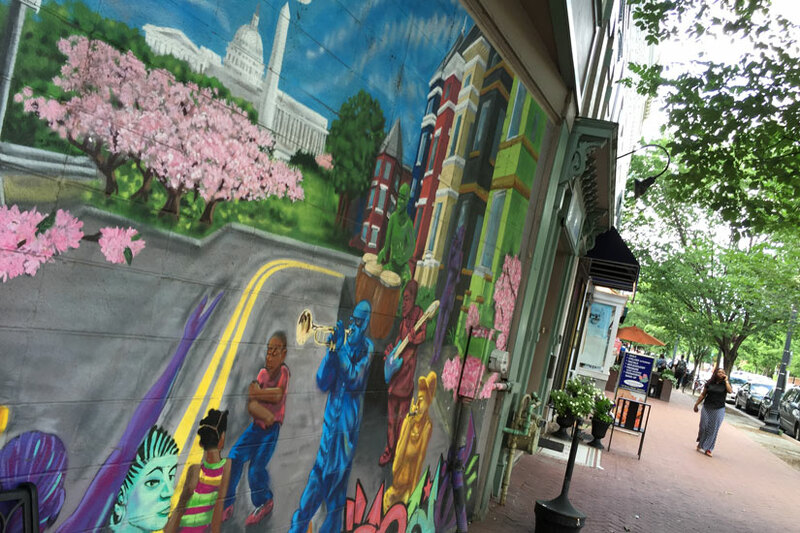 The H Street gallery will hold a reception tonight for the opening of their new exhibit Trouble Makers: The Struggle, featuring visual artist Lusi Peralta Del Valle and musician W. Ellington Felton. The Prudential 4.01K race is set to begin at 10 a.m. from the Stadium-Armory campus. After the race there will be a post-race festival open to the public with food trucks, games and a surprise concert sponsored by Pandora. Saturday 12-3 p.m. or 5-8 p.m. Craft breweries, DJs, food trucks and lawn games will come together at Nationals Park this weekend for the DC Beer Festival. Guests can choose to attend one of two sessions. Tickets include unlimited beer tasting and access to other event activities which will set up shop throughout the ballpark. Admission is $40 per person and available online. Saturday 6 – 10 p.m. The tradition of honoring Capitol Hill area business returns this weekend. The formal event will have food and live music to bring together local businesses and their loyal customers. 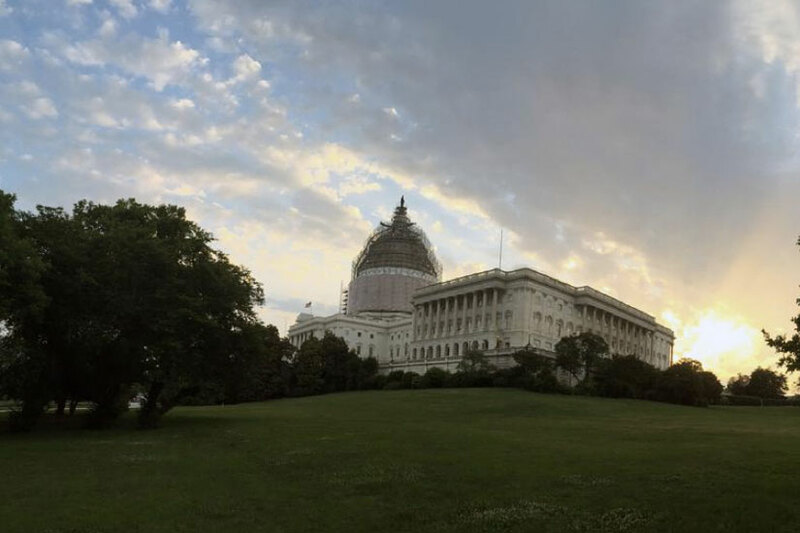 Gala tickets for the general public are $75, but prices vary for Capitol Hill Chamber of Commerce members. They can be purchased online. A carnival complete with magicians, fire breathers and contortionists is coming to Navy Yard. A collection of East Coast sideshow performers,many from the traveling Circus of Wonders, will put their quirky talents on display for guests. A burlesque show is also planned for one of three performances stages, a new feature to this year’s event. There will be live music, food available for purchase and a beer garden by Due South, which opened near Yards Park in August. The annual Taste of H fundraiser for J.O. 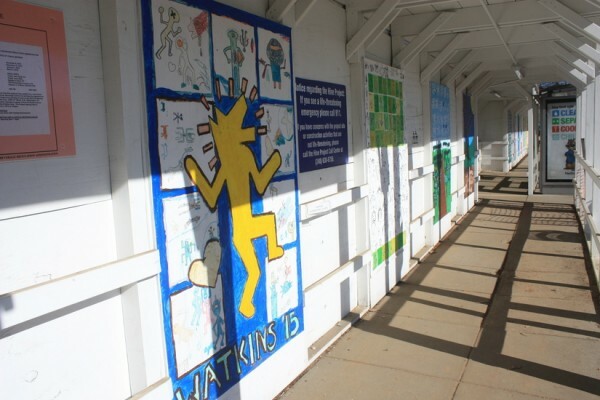 Wilson Elementary school will feature food and drinks from 15 area restaurants in addition to silent and live auctions. Looking for a new home in the Capitol Hill area or just want to see what your neighbors’ houses look like inside? We’ve highlighted a few open houses this weekend to get you started. But be sure to check out our real estate section for a full listing. 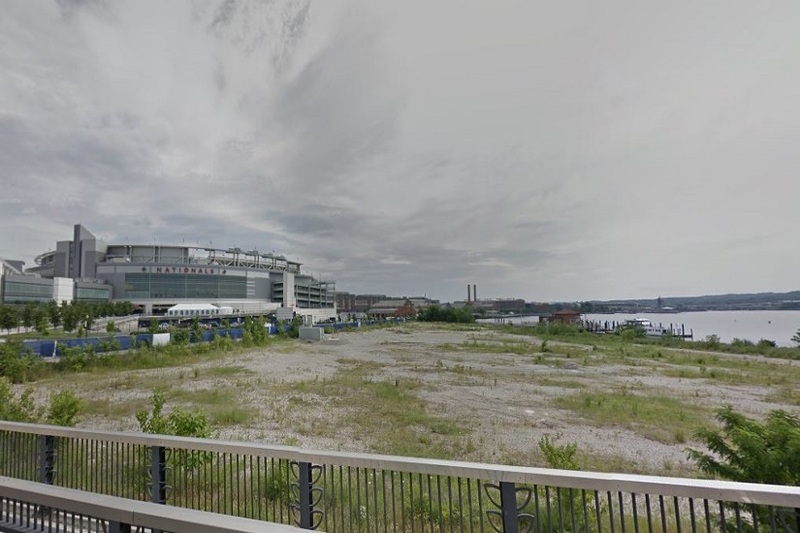 The owner of Bardo Brewpub in Trinidad has applied for a liquor license for a scaled-down version of the “BeerDisneyLand” that he planned to build on unused land in Navy Yard. 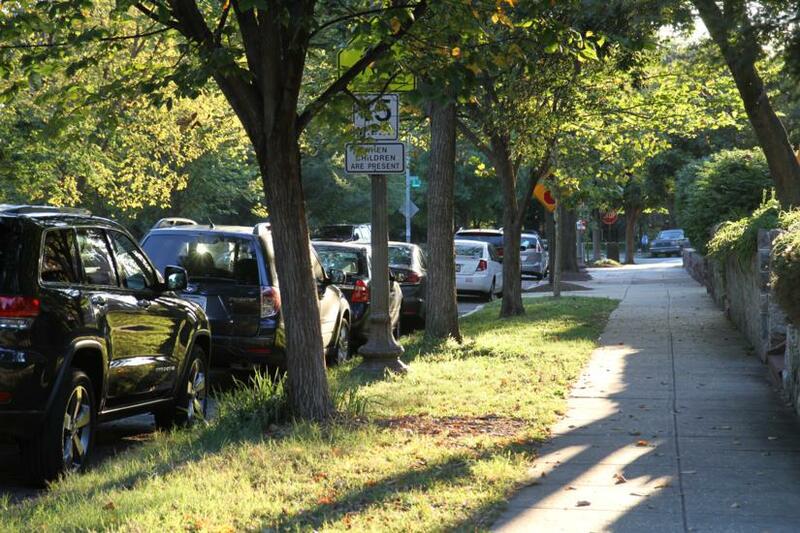 Bardo owner Bill Stewart originally submitted an application to the Alcoholic Beverage Regulation Administration in March for a beer garden at 25 Potomac Ave. SE that would hold a maximum of 2,000 people. However, that application was rescinded due to concerns about unruly crowds, noise levels and security concerns, JDLand reported. 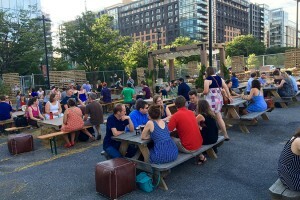 This time around, Stewart is planning to cap the maximum total occupancy for the beer garden at 750 people and made several other changes in response to feedback and concerns from local Advisory Neighborhood Commissioners and D.C. Police. “They wanted security personnel trained in an ABRA-approved course and to move the entrance closer to 1st Street, and that was fine with us,” Stewart said. Stewart is also no longer seeking permission to have live entertainment at the beer garden, and has agreed to limit drinking to about half of the property. Other parts of the two-acre lot will be used as a dog park, bike shop and open green space. The beer garden will still feature beers brewed on-location and space for food trucks, according to the license application. Before Stewart submitted his initial application, several other groups had plans for larger-scale event spaces on the plot of land next to Nationals Park. All of those applications were rejected. Stewart said he hopes this application will be enough to ease the concerns of the ANC members and the police, but says he still doesn’t know if ABRA will approve the project. Those who object to the beer garden have until Nov. 30 to lodge a complaint with ABRA. Barring any complaints or application rejections, Stewart says he could still be ready to open the beer garden on opening day of the baseball season in spring. Cask ales and 24-hour dining might arrive under one roof on the H Street corridor in the coming months. Justin Harbin and his father, Larry, are planning to open an English pub and an all-night diner above it at 1248-1250 H St. NE this spring. Spile & Spigot, the pub, will occupy the ground floor of the building and will focus on cask ales, which are beers stored and served without the nitrogen or carbon dioxide pressure necessary for a keg, Justin said. Above the pub, Blue Diner will serve American diner staples, hopefully 24 hours a day, Justin said. Combined, the restaurants will have room for 170 to 180 people. Justin said he and his father, who are first-time restaurateurs, came up with the idea for a cask ale bar first after Larry spent time near Birmingham, England, for work, where all his favorite pubs served the beers. “When we first started, we recognized that almost nobody in the city serves cask ales at all, but it’s a very sought-after style of beer for the beer connoisseurs,” Justin said. “I personally very much enjoy a cask ale. I love the textures and flavors and the temperature,” which is typically warmer than keg beers. Although their initial plans only called for a pub specializing in cask ales, Justin said he and his father learned that they would have a lot of extra space at 1248-1250 H Street and decided to look into putting a separate restaurant on the second floor. 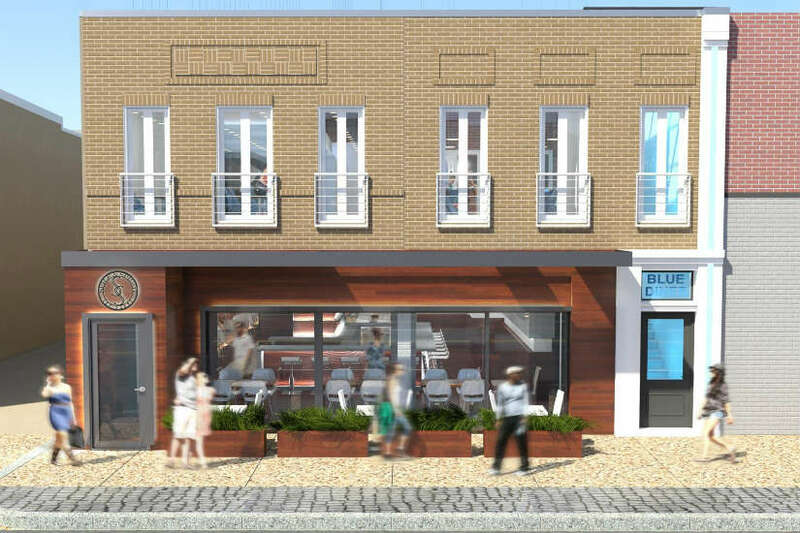 Justin said he hopes the diner will capitalize on the scarcity of late-night food options along H Street by staying open all night or for most of the night. The eatery will have classic American diner and breakfast food and won’t serve alcohol. Downstairs, the pub will have a full-service dining room, with American and English pub staples. But the Harbins have yet to draft a food menu for either the Spile & Spigot or the Blue Diner. As for Spile & Spigot’s beers, at least 12 cask beers are expected to go on tap. All of them will sit in a room with a window that will allow bar goers to see the storing and serving process for the beers. The pub also will have about five taps for non-cask beers, with a focus on local breweries. (Updated at 12:30 p.m. Friday) A home brewer on Capitol Hill is reviving a defunct neighborhood brewery with hopes of opening it in 2016, he said yesterday. 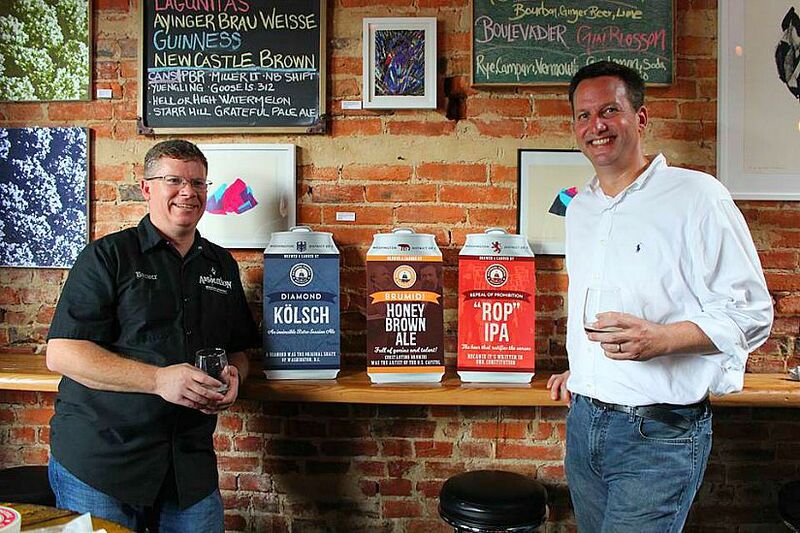 National Capital Brewing Co., which went out of business almost a century ago, is on its way back with high-quality craft beer back for the District, said Michael Webb, who is working to recreate the brewery with partner and head brewer, Wes McCann. 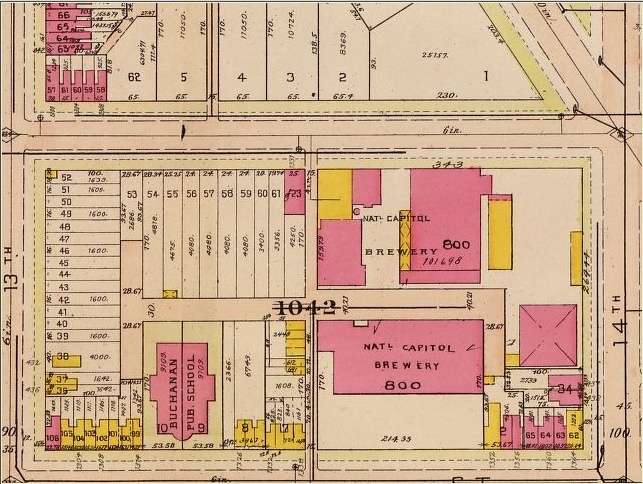 The original company opened around 1891 after German immigrant Albert Carry bought an existing brewery in Hill East between 13th, 14th, D and E streets SE. 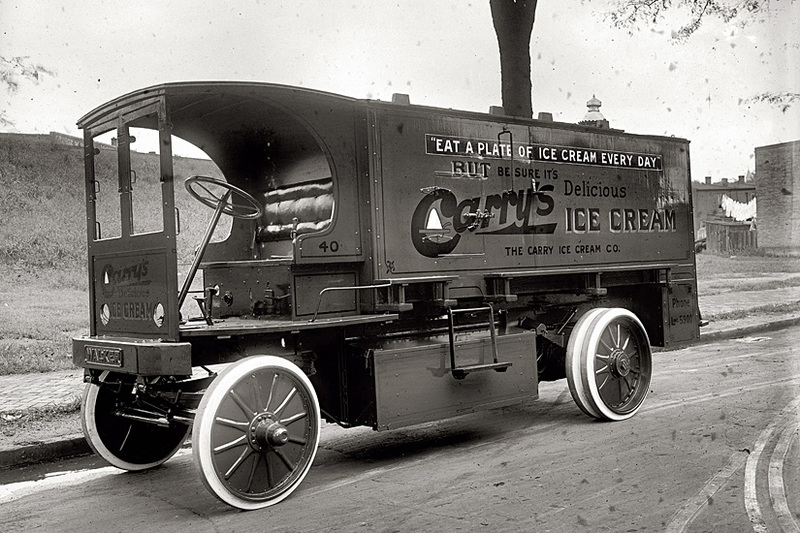 Prohibition threatened the business, and it was sold in 1918. None of the original brewery building remains. This Friday, the company is holding a tasting for friends and interested investors at the National Capital Bank (316 Pennsylvania Ave. SE), about 10 blocks away from where the brewery once stood. The bank is run by Carry’s descendants, and Webb said he is grateful to have the family’s “unqualified endorsement” moving forward. “They’re very supportive of the idea and are glad to have it honor the tradition and the craftsmanship that was used a hundred years ago,” he said. Friday’s event is also a fundraiser for the company. They hope to raise $2 million by the end of December to stay on track to open next year. The other hurdle facing the company is space. The pair are actively seeking a location for a full-scale brewery. The efforts are focused within the boundaries of D.C., Webb said. But they are not ruling out any options, including a space at Eastern Market. While the real estate search continues, the new National Capital Brewing Co. is previewing three beers: their Belgian IPA, Honey Brown Ale and Bavarian Hefeweizen. “The flavors we’ve chosen are unique and different and not available locally,” Webb said. He added many of the flavors are inspired by the people of D.C. For example, he has plans to brew an Irish Red Ale to honor the people who lived in Swampoodle, which is now known as NoMa. 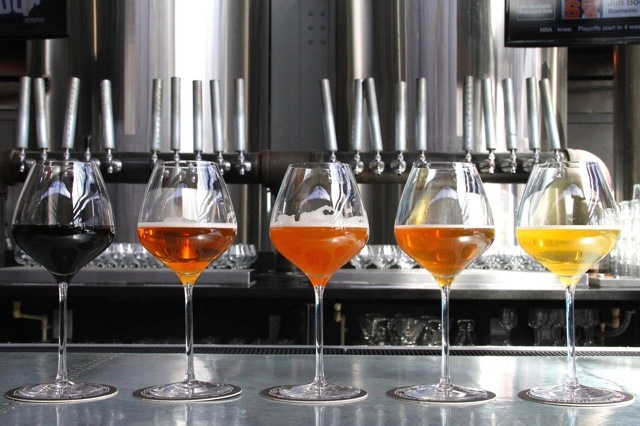 The brewery has an initial set of seven recipes, each representing a different style of beer. Webb hopes to expand that to 10 offerings once they are fully operational. National Capital Brewing Co.’s beer will be available in kegs and 16-ounce cans. Councilman Charles Allen of Ward 6 raised a beer to the District’s breweries at Navy Yard’s Bluejacket last night, pledging to help them grow in D.C. Speaking at a DC Beer Week talk on “How Government Affects Your Beer,” Allen told members and supporters of the District’s nascent beer industry that breweries are “really vibrant parts of our community,” bringing new jobs and activity to neighborhoods. “I am always looking at ways in which we can help support them and grow them,” he said. 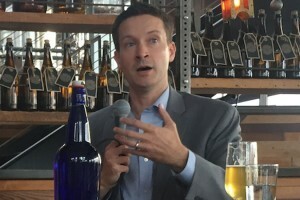 Allen said he would like to have the District do more to promote a “made in D.C.” brand that celebrates local breweries and other businesses. Such a move would help them, he said. The District should follow the leads of New York and Chicago, which have created “really strong branding” around their names and the products the cities produce, he said. “It fosters a really strong sense of loyalty among your customers and among the people who are going to support you,” Allen said. He also said he would support more breweries in the Capitol Hill area. Bluejacket is set to begin pouring and selling bottles of its beers in a new space at Navy Yard’s Boilermaker Shops this week. The brewery’s bottle shop and tasting room are slated to open officially on Saturday in the former Buzz Bakery location adjoining Bluejacket at 300 Tingey St. SE. The bakery, which was owned by Bluejacket owner Neighborhood Restaurant Group, closed last month. The grand opening, which will coincide with DC Beer Week, will feature “a bevy of our rarest bottles,” including its Whiskey Barrel-Aged Mexican Radio, Red Wine Barrel-Aged Swirl and Judge Ruby, according to a Facebook post for the event. “This is the perfect opportunity to visit the renovated space, sample some classic, vintage and rare Bluejacket brews on draft, and shop our expanded bottle selection,” the event post says. The opening day festivities will run from 11 a.m. to 4 p.m.
A neighborhood government commission’s request to name a Hill East alley after the owner of a defunct area brewery has received the support of one of the businessman’s descendants. Diane Schum, 68, the great-granddaughter of local brewer Albert Carry, said she would welcome calling a 16-foot alley between D and E streets SE as “Carry Way.” Carry owned National Capital Brewing Co. and Carry Ice Cream Co., where a Safeway now sits in Hill East. Earlier this month, ANC 6B unanimously approved a letter to Councilman Charles Allen of Ward 6, requesting that he support the creation of a Carry Way. Guy Schum, Diane’s husband, said he, his wife and the rest of their family would be honored if the District named an alley for Carry. Albert Carry was born in southwest Germany, which was then part of Prussia. In 1852, as a young man, he immigrated to the United States broke and alone to work in the horse stables at a brewery in Cincinnati. In Ohio, he learned the art of brewing beer and saved money until he moved to Southeast D.C. in the 1870s. In the District, he purchased a brewery at 14th and D streets SE from the widow of recently deceased George Juenemann for $90,000, which Guy said Carry paid primarily in cash. Carry then partnered with a man named Robert Portner, and the duo expanded and modernized the brewery to become National Capital Brewing Co.
Diane said she’s heard of plans to reconstitute National Capital Brewing Co. in a new location, and she’s supportive. 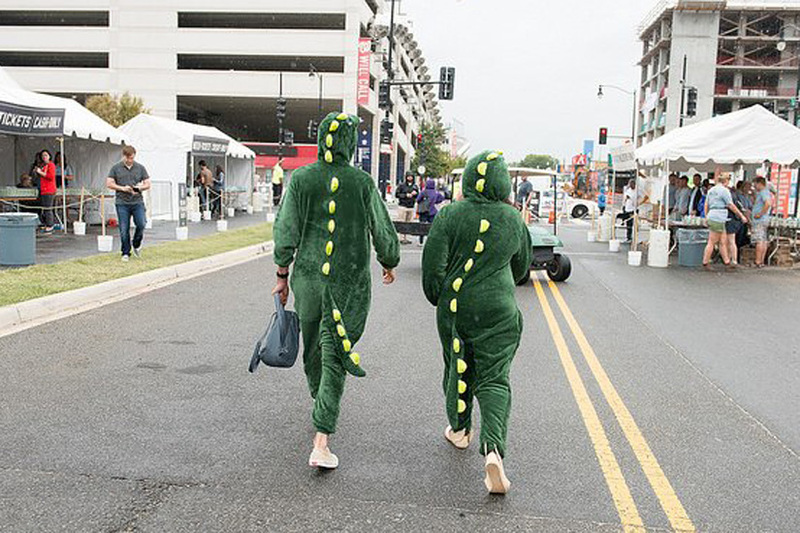 Tickets are now available online for Snallygaster — a craft beer festival on Sept. 12 at The Yards in Southwest, adjacent to Nationals Park. The Snallygaster is a bloodcurdling, toothy and supernatural beast said to have resided in the hills surrounding D.C. and Maryland in the 19th century. Now the beast lives on vicariously through festival-goers, who will sample more than 300 craft brews from around the world at the one-day festival. Drafts start pouring at 1 p.m. Those who purchase V.I.P tickets will be allowed to enter earlier, at 11:30 a.m., as well as receive a “sweet” Snally beer mug. Festival organizers haven’t released the beer list yet, but last year’s selection included options such as “Lawson’s Finest Liquids & Otter Creek Double Dose” from Vermont, “Baladin Super Baladin: Super Baladin Zymatore” from Italy and “Avery Gore’d” from Colorado. Greg Engert, beer director for Snallygaster, selects each beer that appears at the festival. He also curates beer for Neighborhood Restaurant Group, which owns District bars such as Churchkey, Birch & Barley and Bluejacket. The festival will also host food trucks and feature performances from local musicians. Children are welcome to attend, but beer sampling is limited to adults with valid ID. Proceeds from ticket sales benefit Arcadia Center for Sustainable Food and Agriculture. Beer, wine and a “Banned in DC” cocktail will be on tap this Saturday in Navy Yard for a day of outdoor imbibing. 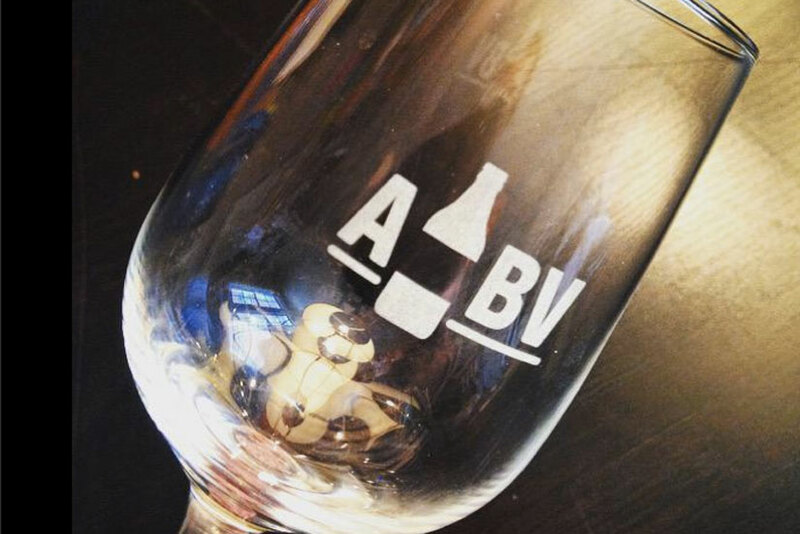 ABV, which bills itself as an “epic outdoor drink festival,” is scheduled to take over Canal Park at 200 M St. SE from 3 to 8 p.m. Saturday. The Neighborhood Restaurant Group, which owns Bluejacket, is organizing the event. Dozens of different drinks will be offered, including Weissenohe Unfiltered Pilsner, Gournier Rosé and Fuentesca 9 Year Tequila. The festival will feature 38 beers, 25 white wines and rosés, and eight cocktails — including the Banned in DC, which contains Del Maguey Mezcal. There also will be pours of tequila and other spirits. Live music, lawn games and food from Red Apron will be on hand, too. A five-pour pass with a glass costs $35 on the event’s website, while a 10-pour pass with a glass is $65 online. Drink tickets also can be purchased at ABV, after a $20 admission fee. A single ticket costs $1 at the festival. The drinks typically require five to 10 tickets.